Travellers to Greece know that they shouldn’t give the island of Crete a miss. However, the reasons why can be a little vague. Most of us have heard of Crete, but when it comes to knowing why it is so special, many of us draw a blank. 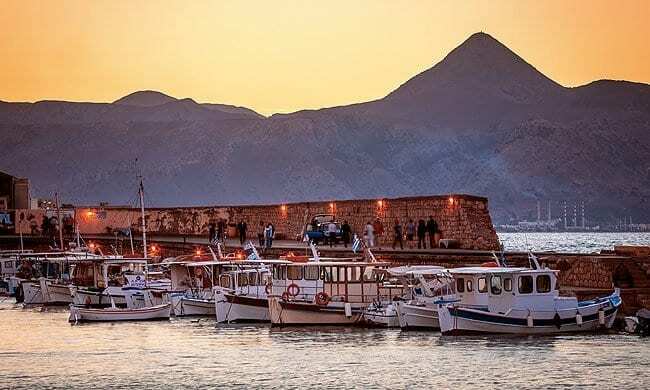 Dig a little deeper and it won’t be long before you discover that the cities are what make Crete a must-see destination. 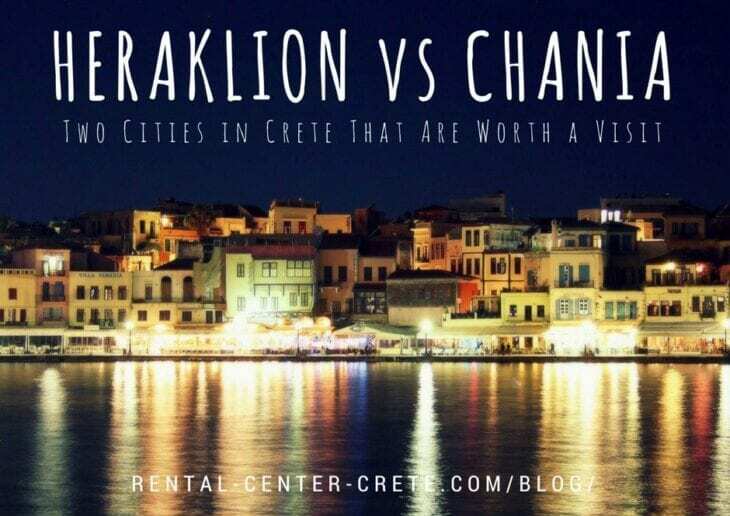 For a better understanding of the wonders of Crete, take the time to learn a little bit about some of its most interesting cities, Heraklion and Chania. History is one of the prime reasons why visitors flock to Greece in the thousands each year. Crete is no exception nor are its cities either. Heraklion, the island’s capital was once home to an important Minoan civilization and has seen the likes of Venetians and the Byzantines. Chania’s past on the other hand, has been shaped by both the Venetians and the Turkish. Car Rental with Premium Insurance in Heraklion! We always include “fully comprehensive” insurance with €0 excess in our rental quotes. Think again before trusting anyone else. Worry-Free deals at Rental Center Crete. Historical landmarks can be found dotted throughout both cities and usually top the list for must-see attractions. 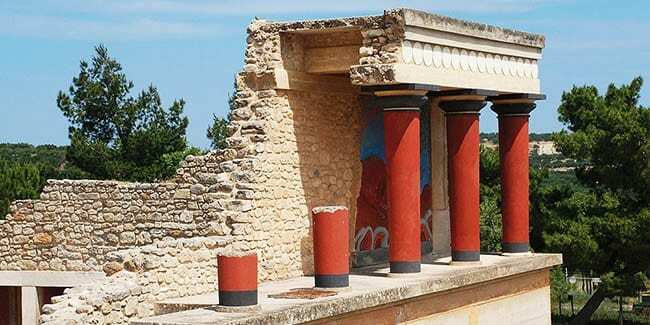 In Heraklion, most like to visit the Minoan Palace of Knossos. This museum and archeological site holds the remains of one of the most important Minoan civilizations on Crete. It is well connected to many Greek myths and has been found to be continuously inhabited since the Neolithic period. Around the city, guests can find the Venetian castle of Koules, several historic churches and a few significant fountains. If you want to learn about the history in a more enclosed setting, Heraklion is full of inspirational museums. Wander around the Historical Museum of Crete, learn about the war in the Museum of the Battle of Crete or check out the exhibits in the Archeological Museum. The availability of historic landmarks in Chania is even more impressive. 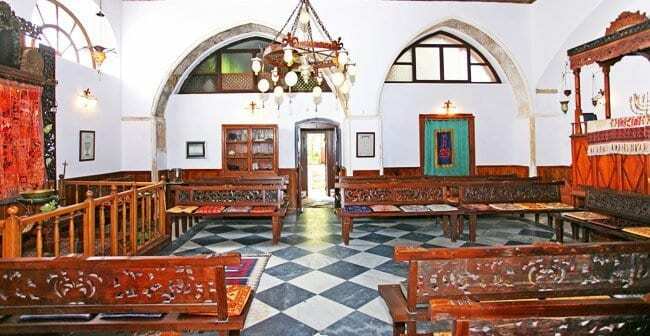 Visit the Cathedral of Trimartiti to see Venetian architecture and paintings or the Etz Hayyim Synagogue to learn about the former destruction of Crete’s Jewish community. Guests can spend time in the Archaeological Museum to learn about the city or the Minoan Ship to see a recreation of what was used during voyages to Athens. Stroll around Dikastiria Square for modern day shopping amongst neo-classical architecture or head a little beyond the city to pay respects to the El.Venizelos Family Tomb, where Greece’s most important political figure of the 20th century rests. Etz Hayyim Synagoge in Chania. 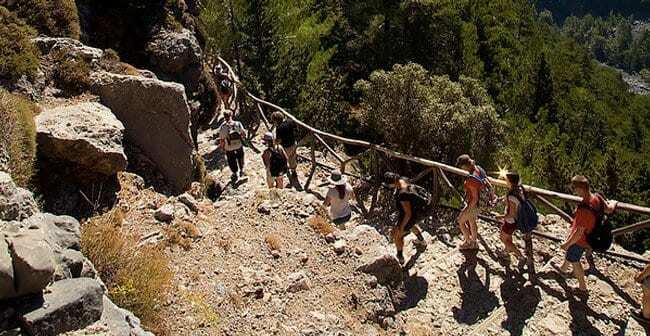 Travel to Crete isn’t just about the history, the range of activities available to travellers are part of what makes the island such a great tourist destination. Visit the Amoudara area of Heraklion for beachside cafes, sunset views and a place to lounge and swim. For a more romantic day on the beach, take a horseback-riding lesson across the shore. Visitors can go rock-climbing, sailing or even take a day to cool off in the water park. If you make it during the right time of year, the city holds both a beach and an arts festival for all to join. Chania also has a variety of activities for tourists who need a break from the historic sightseeing. Head to the Venetian Port to stroll around the traditional streets and buildings and make a stop in one of the many cafes. Shop in the boutiques, watch the sun go down over the harbour or come to take photos of one of the oldest international lighthouses. Visit the Village of Maleme to understand a little more about the Battle of Crete. You can see the German cemetery and the airport battlefield, which was an important site during the war. For the nature lovers out there, a visit to the Samaria Gorge makes a great day trip. Make sure to wear suitable hiking shoes and take the scenic trek around the gorge. The Botanical Park of Crete is also located in Chania and is another great place for getting close to nature while on the island. It wouldn’t be a vacation without a little wine and dine with loved ones and friends old and new. Both cities offer all of the traditional and modern cuisine that you will be craving when trying to make a Greek getaway. Heraklion is well equipped with traditional tavernas selling all of the local favourite snacks. Pick up some spinach pies or one of the many cheap desserts at one of these hole in the wall restaurants. The city also offers finer dining options and visitors can enjoy fresh seafood and organic, local produce at restaurants such as the En Plo and Herb’s Garden. Pair your meal with some Cretan wine or some Raki for a harder kick. Chania Rental Car deals – Large Fleet to choose! Choose between compact cars, family cruisers, mini-buses, comfortable SUV’s, hybrid engine cars and fun convertibles. 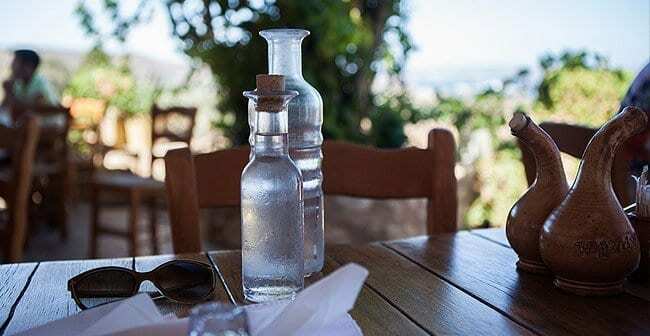 Chania has no shortage of fine establishments to try both Cretan and international cuisines. Dine at Tamam or Gramvoussa Restaurant for traditional Cretan cuisine or head to the street markets for some typical Greek snacks. If you are craving the regular western fare, check out The Roadhouse Bar and Grill for some cheeseburgers, chilli and a little karaoke. The Well of the Turk is one restaurant that all visitors are recommended to see. More of an experience than a plain old restaurant, this establishment has seen awards for its ethnic food and laid back atmosphere. After you have had your fill of the kitchen’s creations, stroll on down to the Kariatis Wine Bar for a night of letting loose. There are more than 100 Greek and international wines available as well as a small tapas menu if you want a midnight snack. Although both cities are located on the small island of Crete, they both are different and beautiful in their own ways. With slightly different histories and their own take on the modernity that they have adopted for themselves, each place has turned out uniquely special and interesting to visit. For Minoan history, fun by the beach and a more traditional selection of cuisine, Heraklion is your place. 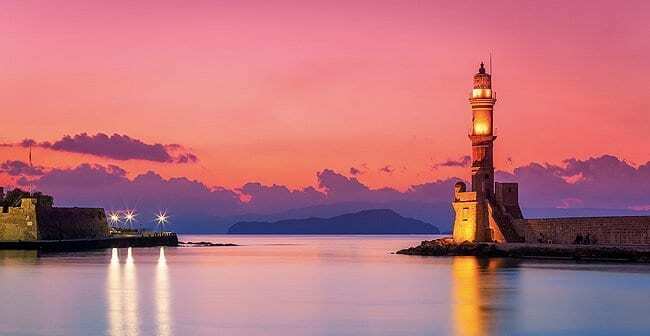 If you prefer a destination with more international presence and religious significance, Chania may be your best bet. No matter which one you choose, both of Crete’s historical cities have everything you need for a holiday that you are bound to remember.